Our Mission: Through education, intern sponsorship programs and influencing legislation and regulation at the federal and state level, our mission is to foster an environment of diversity and professionalism to nurture growth for the insurance and risk management professional. Thanks to all sponsors and participants in the Delaware Valley RIMS Annual Golf Outing on Sept. 24 at The Philadelphia Country Club. Temple University's Fox School of Business School of Insurance and Risk Management 2nd Annual Enterprise Risk Management Conference. Enterprise Risk Management (“ERM”) has gotten attention from Corporate America for roughly 20 years, and we’ve seen some early successes. Join us on May 15, 2018 at the Temple University Fox School of Business for a conversation about the future of ERM. Come hear experienced ERM practitioners speak to lessons learned and early wins for their ERM programs; other presenters will introduce the audience to innovative ERM capabilities, made easier today by emerging technologies and new management disciplines. This event offers valuable perspectives and real-life case examples that are relevant regardless of the maturity of your ERM process – and even if you are first starting your ERM journey! To register and see a complete agenda, click HERE. Information will be forthcoming on topics, and locations in the near future. Dates may be subject to change. Please always refer to www.rims.org and the Events Calendar for the latest information, and registration links. Please join the Board of the Delaware Valley Chapter of RIMS for the Chapter’s Annual Business meeting and vote for the Board of Directors and Chapter Officers on Tuesday, May 14, 2017 from 4:00 pm to 5:00 pm, followed by cocktails from 5:00 pm to 7:00 pm. The meeting and happy hour will be held at Harpers Garden, 31 South 18th Street, Philadelphia, PA.
We will vote on the slate of Directors and Officers for the 2019 – 2020 term. Primary deputies will, under separate cover, receive a copy of the Slate along with a proxy form for those who are unable to attend and wish to designate a proxy to cast their vote. We will also hear from each of the Committee Chairs with their annual report to the Chapter. This is your time to help set the strategy for the Chapter in the years to come. Please come out and support your Chapter by attending. Please note that this business meeting is a closed meeting, and only members of the Society are permitted to attend. Founded in 1951, the Delaware Valley Chapter of RIMS was the second chapter. 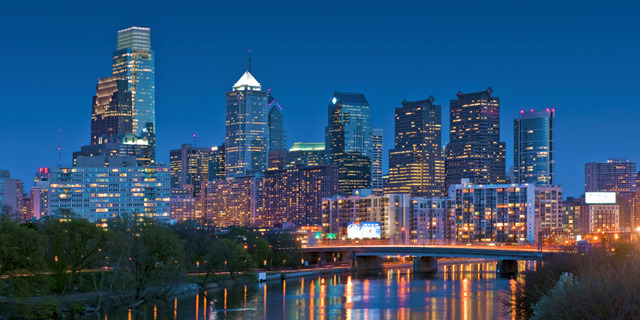 We serve the Risk Management community in Pennsylvania, Delaware and New Jersey. RIMS, founded in 1950 serves over 4,800 businesses and organizations represented by over 10,000 individuals with risk management responsibilities throughout the world. By belonging to RIMS, you will receive a wealth of benefits designed to provide you with the most comprehensive information on risk management.